This archive is in five parts: a) Previously unpublished research by members, b) Original Official New Zealand Documents c) Campbell Paterson Newsletters and Bulletins, d) Articles republished with permission from journals and magazines, e) Exhibits. Dunedin Exhibition 1925: A 274 page plating study of errors and varieties from the Dunedin Exhibition issue of 1925 by Terry Hancox can be viewed here. An introduction was published in: Terry Hancox, 1925 Dunedin Exhibition - Errors and Varieties, The Kiwi, vol 65, no 2, p 48-53, March 2016. Health 1929: A 196 page plating study by Terry Hancox of the 1929 "Help Stamp Out Tuberculosis" issue can be viewed here. Health 1933: A 73 page plating study by Terry Hancox of the 1933 Health "Pathway" issue can be viewed here. An introduction was published in: Terry Hancox, 1933 Health 'Pathway' - Frame Retouching, The Kiwi, vol 65, no 3, p 80-81, May 2016. Health 1945: An updated 88 page plating study by Terry Hancox of the 1945 Health "Peter Pan" issue can be viewed here. Health 1957: A 36 page plating study by Terry Hancox of the 1957 Health "Beach Scenes" issue can be viewed here. Health 1958: A 36 page plating study by Terry Hancox of the 1958 Health "Brigade Children" issue can be viewed here. Health 1959: A 60 page plating study by Terry Hancox of the 1959 Health "Tete and Poaka" issue can be viewed here. Red Cross 1959 Centenary: A 146 page plating study by Terry Hancox of the 1959 Red Cross issue can be viewed here. An introduction was published in: Terry Hancox, 1959 Centenary of the Red Cross - A Suitable Subject for Study, The Kiwi, vol 66, no 1, p 9-15, January 2017. Health 1964: An 104 page plating study by Terry Hancox of the 1964 Health "Tarapunga and Korora" issue can be viewed here. Health 1965: An 82 page plating study by Terry Hancox of the 1965 Health "Kaka and Piwakawaka" issue can be viewed here. Health 1967: An 173 page plating study by Terry Hancox of the 1967 Health Rugby Football issue can be viewed here. 1970 Magpie Moth and 1971 Provisionals: A 118 page plating study by Terry Hancox of the 1970 Magpie Moth and its provisional issues can be viewed here. 1977 Health : A 57 page plating study by Terry Hancox of the 1977 Health "Children in the Woods" can be viewed here. An 18 page study of "New Zealand Crown-within-Circle Steel Date Stamps" by Paul Woods can be viewed here. Airmail rates 1931-1932: Corrections to the tables in sections '25 February 1931' to '1 June 1932' of the book: New Zealand Overseas Airmail Postage Rates (1930-2011) by Robin M Startup can be viewed here. An article describing the changes in rates was published in: Robert Clark and Bob Watson, Via North American Air Services: 1930-39, The Kiwi, vol 65, no 3, p 82-87, May 2016. 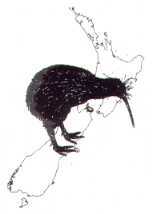 This is a collection of New Zealand Government documents and the list is given here. There are three separate sections. Acts relating to the early New Zealand Post Office. New Zealand Gazettes relating to early postal rates. We would like to thank David Holmes for giving us permission to host them on our website and we acknowledge Auckland City Stamps/Campbell Paterson Ltd in their support of the NZ Society of GB by making these Newsletters and Bulletins available. The Campbell Paterson Newsletter is available here and the Campbell Paterson Bulletin is available here. We would like to thank member John Biddlecombe who has scanned the Newsletters and Bulletins into pdf format. A collection of previously published articles on New Zealand philately can be accessed here. They have been republished with the permission of the journal or magazine. Mrs Purdon Illustrated Covers: Scans of many Mrs Purdon handpainted covers were added in February 2014 and updated in January 2015 and January 2019. Copyright © 2017 New Zealand Society of Great Britain. For personal, non-commercial, charitable and educational use only. Any use should acknowledge the source.